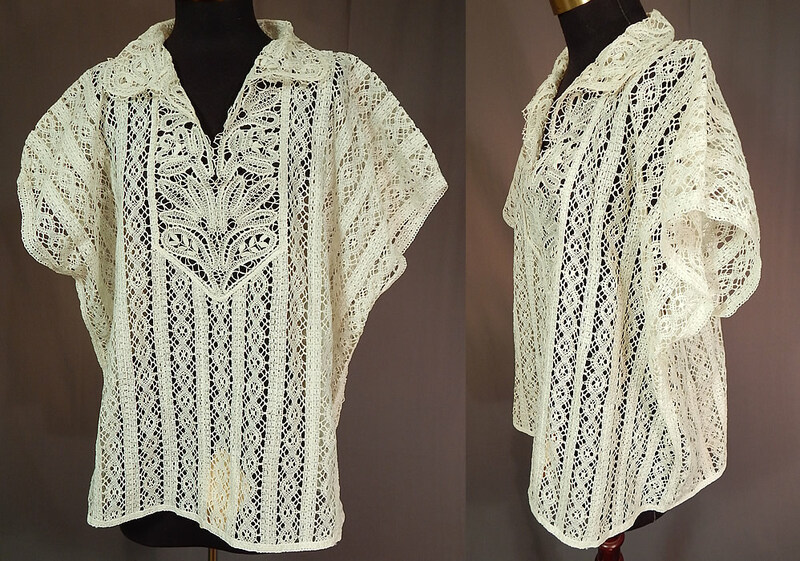 This vintage handmade Russian bobbin tape lace white shirt blouse top dates from 1991. 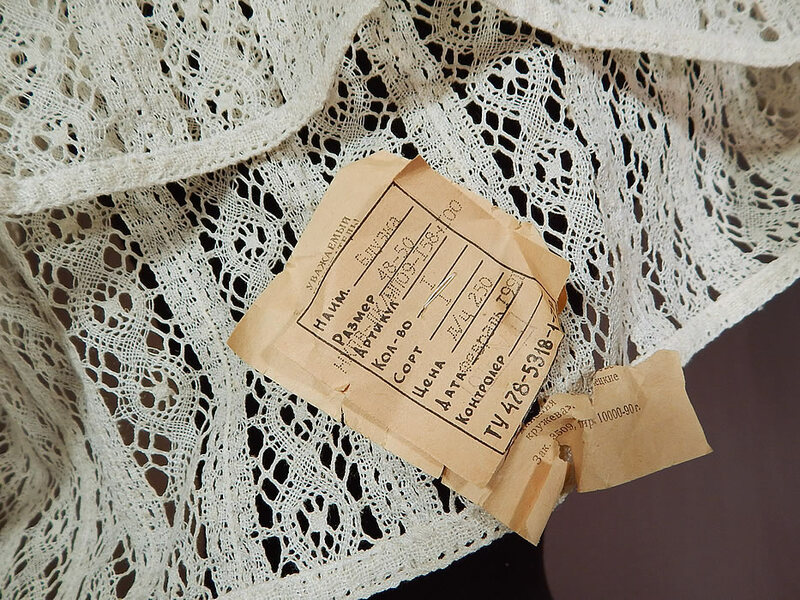 It is handmade of a white sheer Russian bobbin tape lace with maze like design striped pattern. 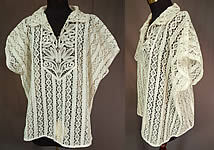 This lovely lace ladies blouse has a pullover style, fold over collar V neckline, short cap sleeves and is sheer, unlined. 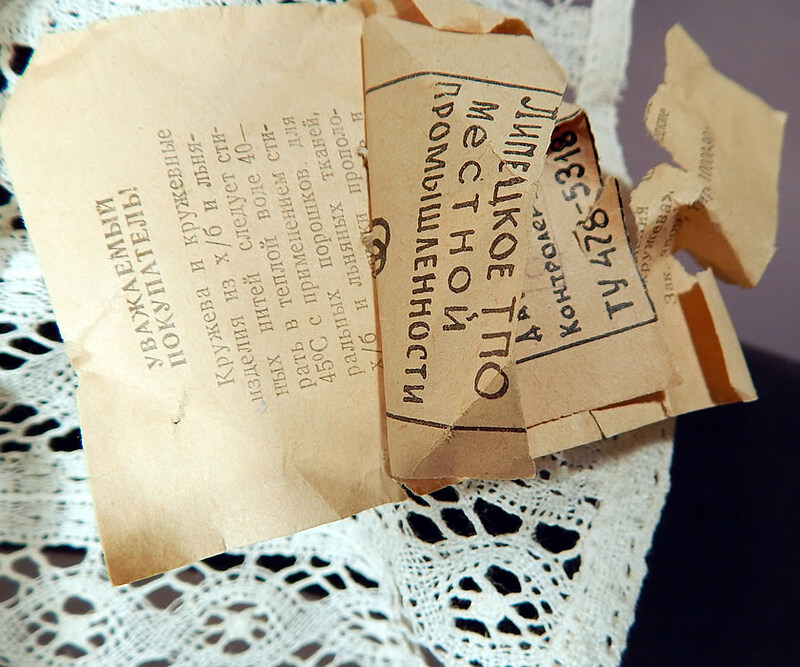 Attached underneath the front bottom hem is the original paper tag in Cyrillic script. The top is a large size measuring 24 inches long, with a 50 inch chest and 50 inch waist. It is in excellent, unworn condition NWT. 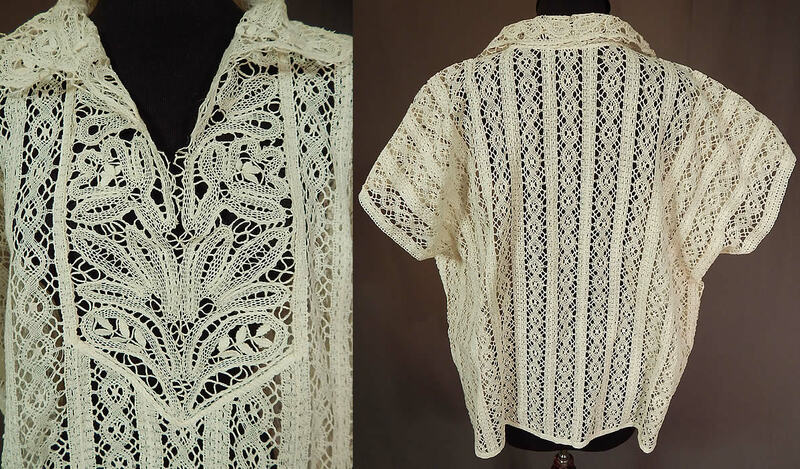 This is truly a wonderful piece of Eastern European peasant folk handmade lace wearable art!